Get paid just by completing surveys with one of the most reputable paid survey companies. 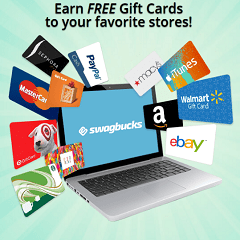 Swagbucks allows you to complete surveys and get gift cards for free for your favourite retailers! Sign-up today and start getting free gift cards.